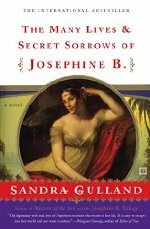 This is the June August book for the Historical Fiction Book Club. Remember that FanFare posts don't close and you can continue to discuss prior books (if it takes you a while to get around to them) for as long as you'd like! There are two sequels: Tales of Passion, Tales of Woe and The Last Great Dance on Earth -- just in case you read the first one and can't stop, as I did. He just up and declared her a new name?!?!? FFS. I doubt I would have picked up this book, but for your post about it here, and I am glad I did. I found it vivid and horrifying and thoroughly engaging. In the grand scheme (namely the Terror) the renaming is not the worst thing ever. But it is also the worst thing, in the vein of the horror movie heroine heading for the basement, alone. I know this is shockingly late but I bought and read this book based on this thread! I enjoyed it, well worth the couple of bucks it cost me on Kindle. I do so enjoy reading accounts of the French revolution. I found Rose a little bit of a Mary Sue - how did she maintain her steadfast innocence and good faith, I would like to have seen a little more "sandiness" to her. But that, said, I think in some ways the book needed a protagonist like that. I also enjoyed the diary framing. That doesn't always work for me, but in this case I found it really helped the pacing and her voice was realistic. Eyebrows, what did you think of the sequels? A few days after my return [to France] Mme. Bonaparte called upon me one morning. She spoke of the balls at which we had been together before the Revolution; she was most cordial, and even invited me to dinner at the First Consul's. However, the date of this dinner was never mentioned. I imagine neither was inclined to follow through on that invitation, only to offer and receive a polite gesture. But had they done so, it might have led to a portrait of Josephine by Vigée Le Brun, and that would be something I'd like to see.